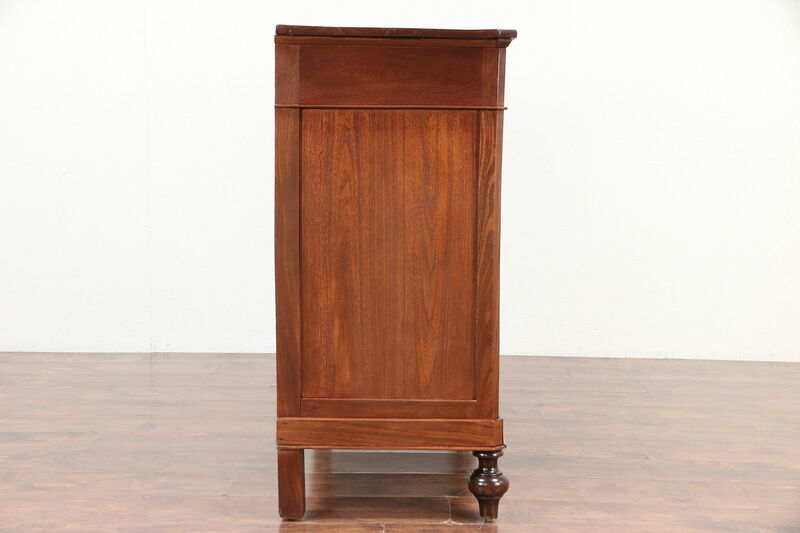 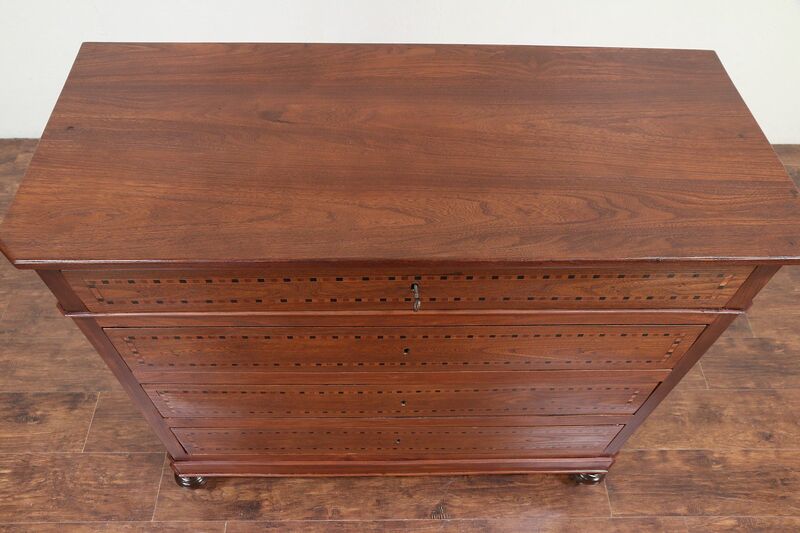 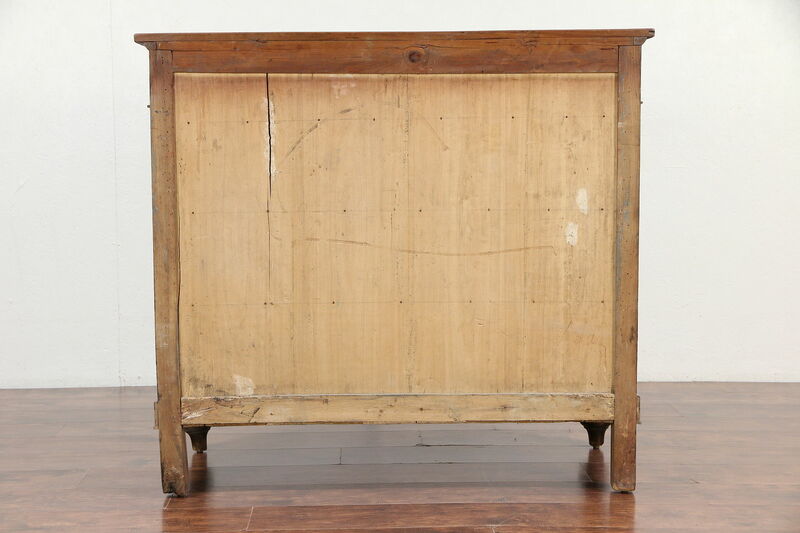 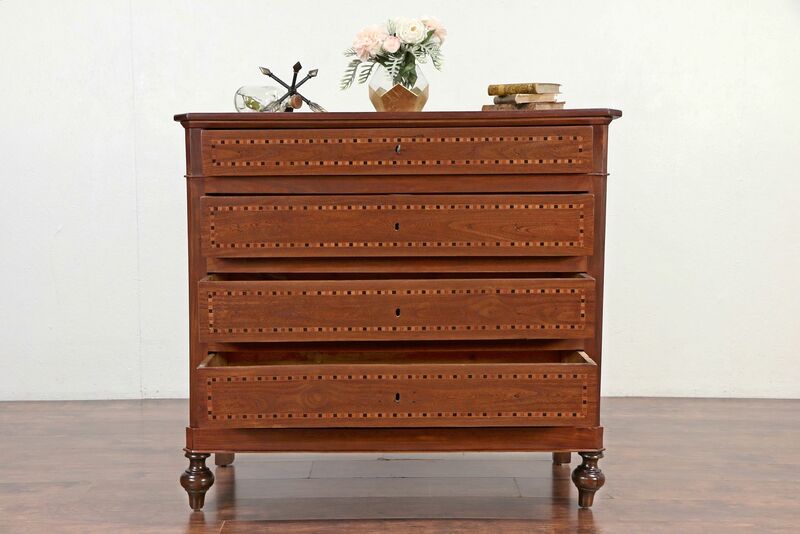 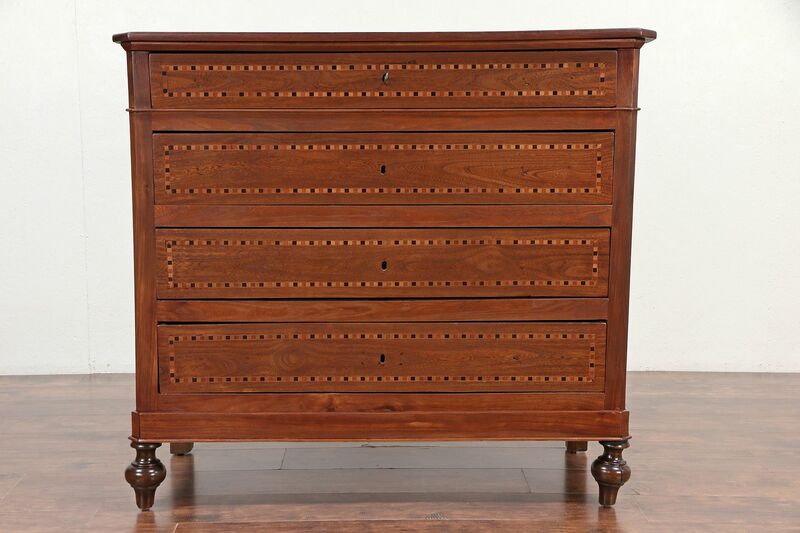 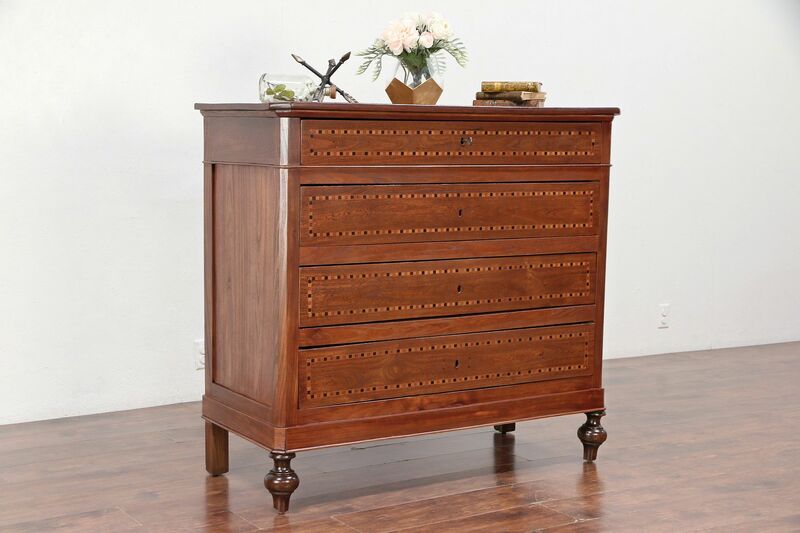 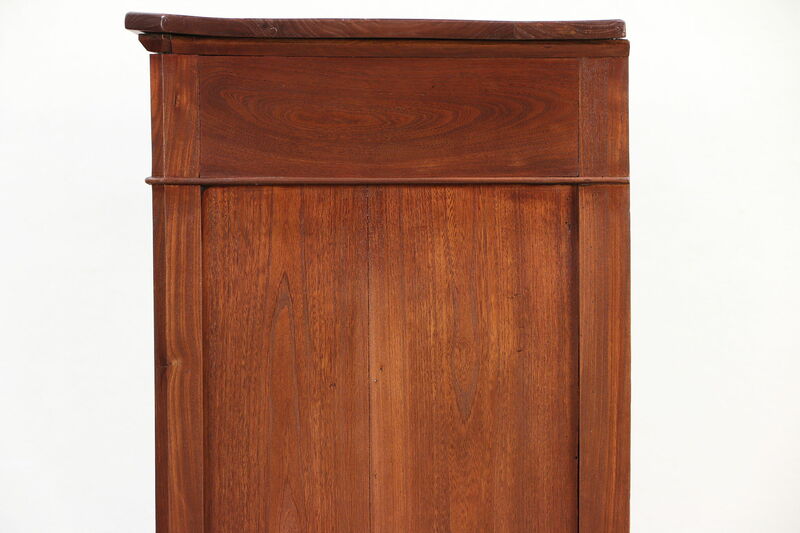 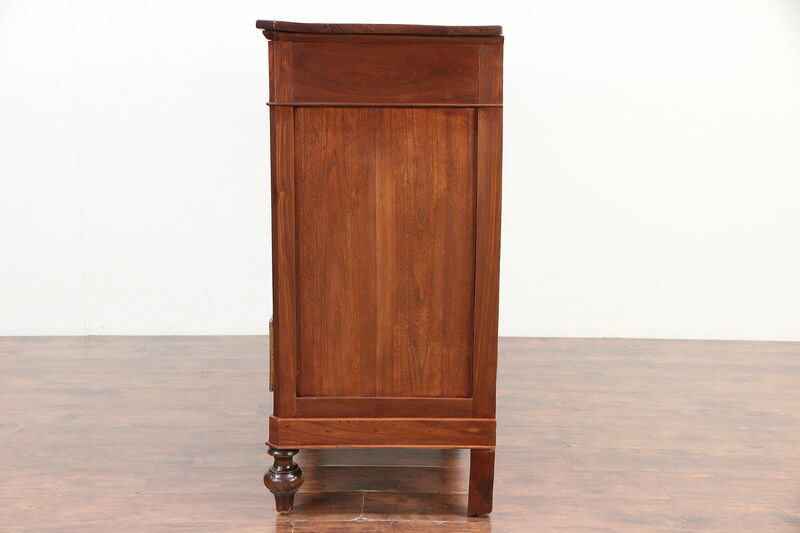 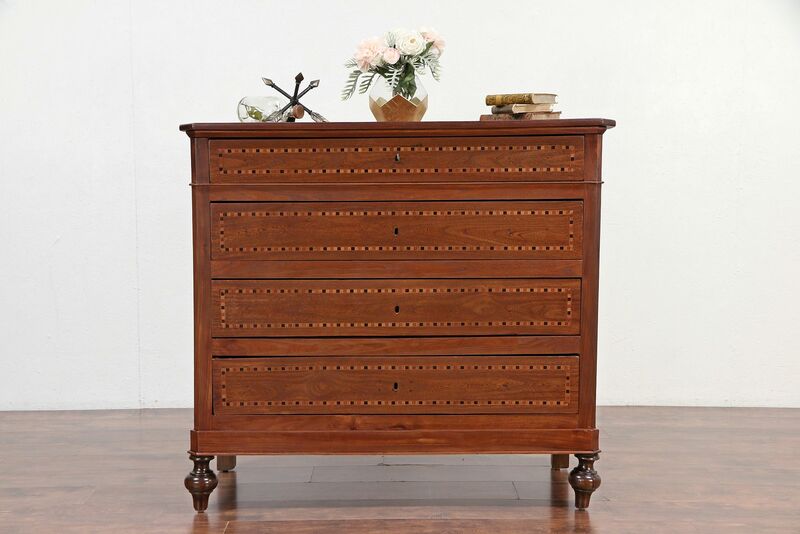 A four drawer chest or dresser was hand crafted of solid elm in France about 1890. 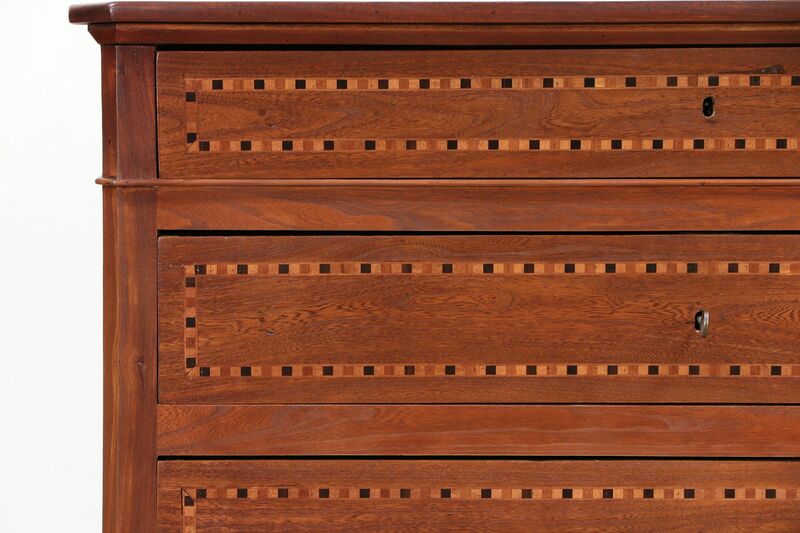 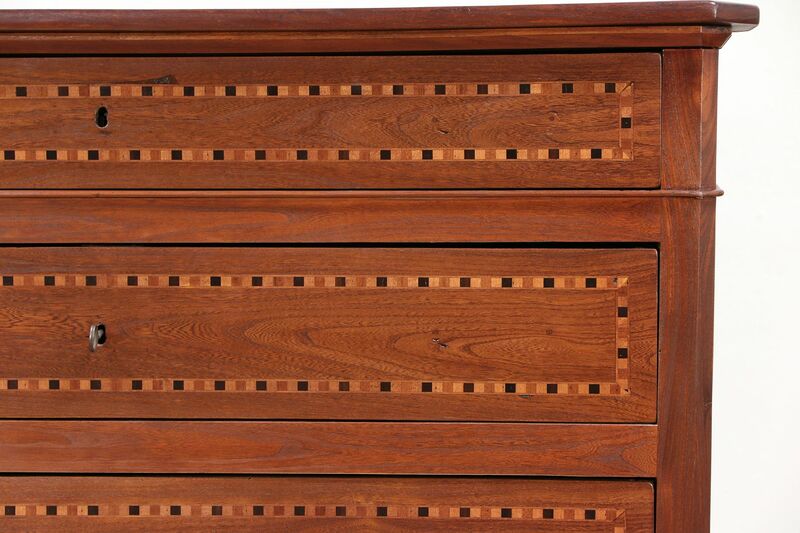 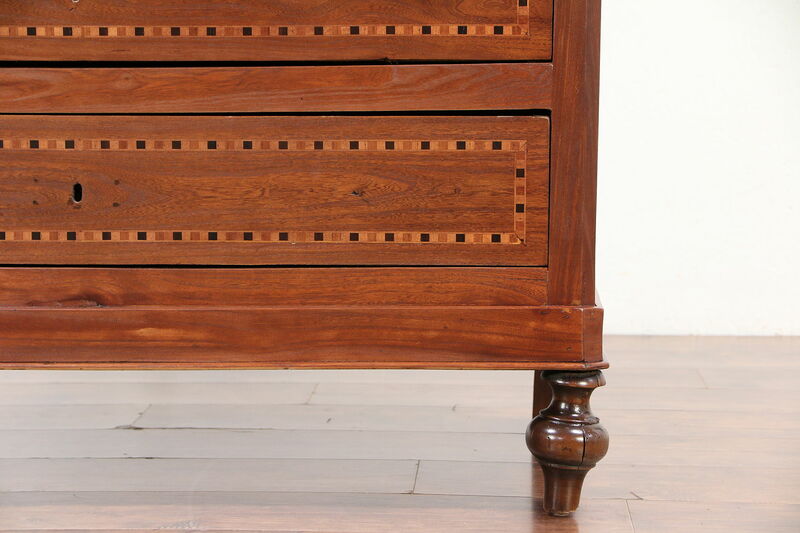 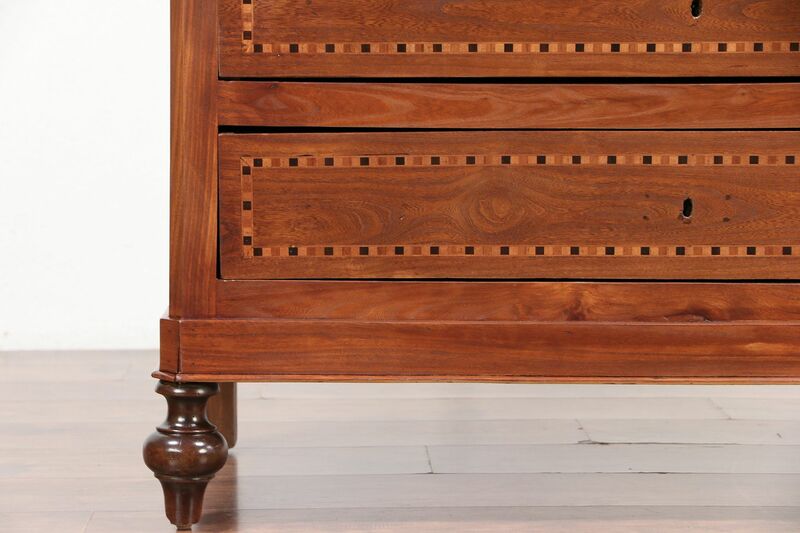 Drawers have inlaid banding of mahogany, birch and ebony. 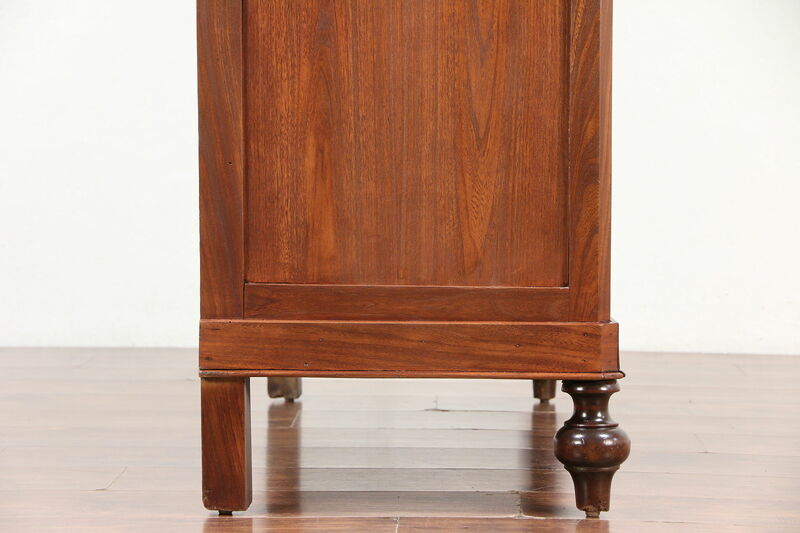 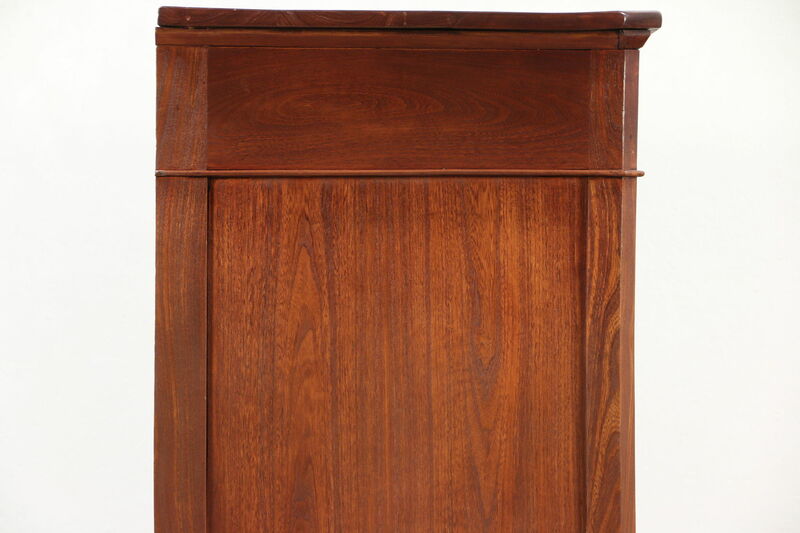 The restored finish is in excellent condition, preserving a few mars and warps for a little antique character. 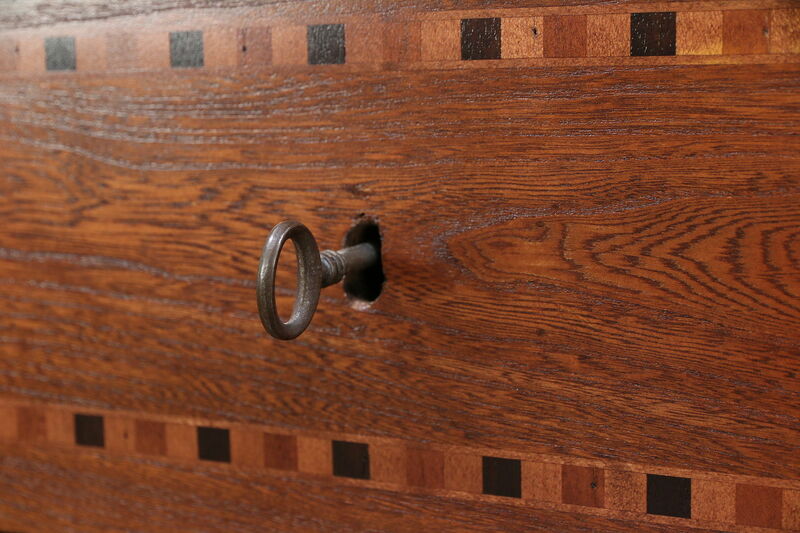 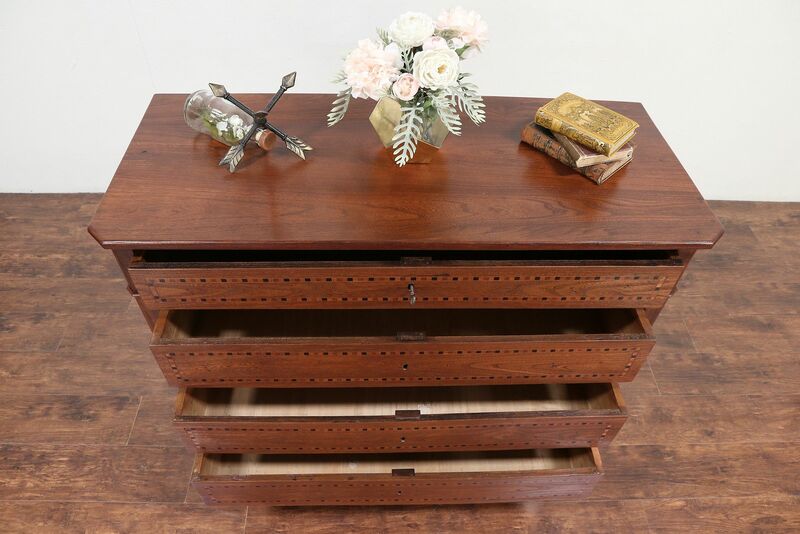 Drawers have original working iron locks, the key is the pull on this provincial furniture. 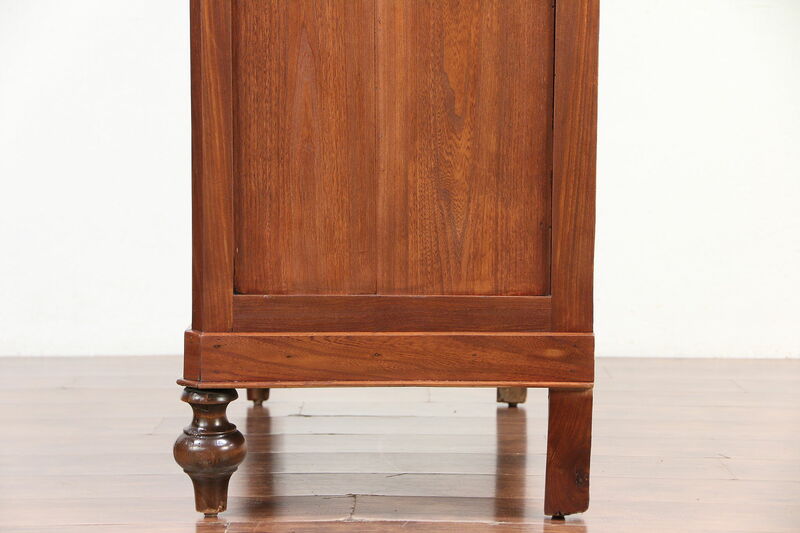 Size is 48" wide, 21" deep and 44" tall.